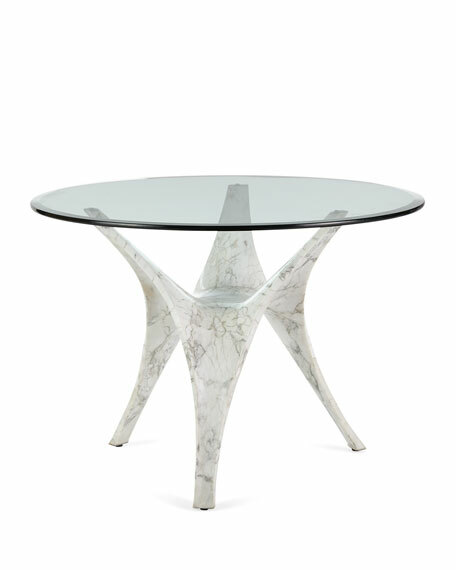 Natural marble seems to bend and twist on this dramatic center table. 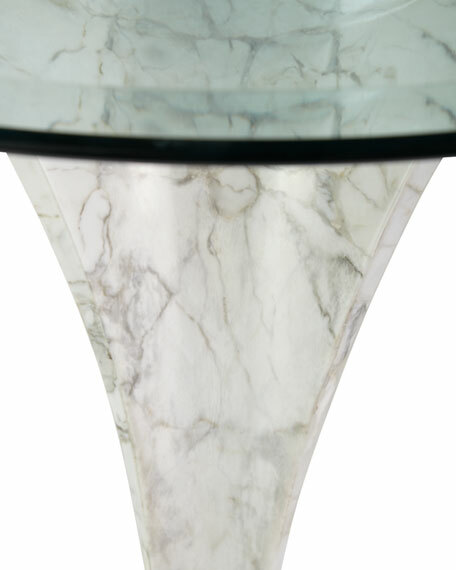 This one of a kind amorphic form creates a sculptural focal point in a room. 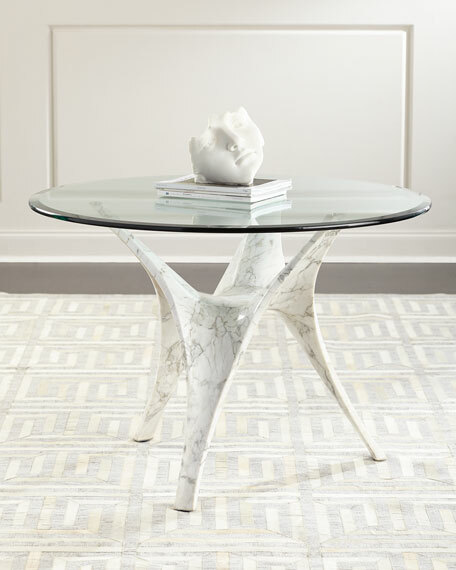 Handcrafted table with marble base. Glass top with 1" beveled edge.